You can have the greatest blog post of time on your website, but that doesn’t guarantee that it will show up in the top pages of search engines. Good content is only one factor that contributes to your ranking in Google, Yahoo, Bing and so on. The secret is to write for both people and search engines alike. 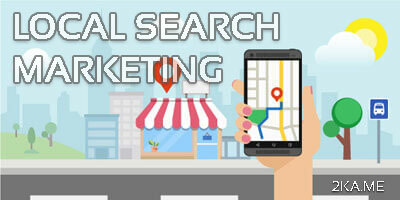 Search engines have become increasingly more intelligent nowadays when it comes to their ranking process of websites. There are different On page and off page SEO techniques that can play a significant role in whether you show up on the first page of Google of on the 200th page. SEO or search engine optimization is a digital marketing technique that drives traffic to your website organically. This method has two parts to it. On-page SEO and Offpage SEO. 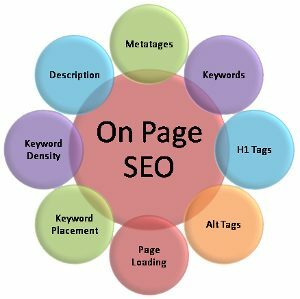 On-Page SEO is when you optimize your webpage to generate more traffic to this particular page and well as increase its visibility in SERP’s. When Google, Bing, Yahoo or other search engines read your page they start from top to bottom. Having your keyword in the title or the first words the SERP’s read has a lot of weight on search engines. When you create a website you are creating it for a certain goal. Be it for information, sales, or leads. Which is why it is very important that you select your keywords and use them to your advantage. You want to make your page reader friendly, not just random stuff it with keywords. Let your article flow easily while inserting your keywords naturally. Afterall, you are discussing the keyword used in the article. Everyone is always talking about quality content content content. Even though search engines have no real way of determining if your content is great or engaging, SERP’s can gauge users reactions to your webpage by how long people spend on your site as well as repeat visitors among other factors. Header tags are very important to your on page SEO ranking. Essentially they tell visitors as well as SERP’s that the content in your header tags is more important than the rest of the content in your webpage. By just having an H1 tag you increase your chances of visibility in search engines. H1 tags tell visitors as well as SERP’s what the content on this website is about. You should start your blog with an H1 tag which will help readers and SERP’s understand what you are trying to convey in your article. Content is very important to ranking your website, however, to increase user engagement and time on site you can help reduce your bounce rate by making your website more interactive. This can be done, by simply adding images as well as videos. Keep in mind that when you add these factors you can also add an alt tag or meta tag for loading errors and web crawlers. This is a debatable issue among SEO enthusiast. Where some argue that any article if well written can rank, while others assume that if you have a lengthy article (1,00+ words) that you will rank higher in SERP’s. I believe that it is a mix of both. Having a well-written article or webpage that conveys your ideas, or sales pitch exactly with enough content is the only thing you need to rank. Internal linking is when you place links on a webpage that lead to a different webpage on the same site. It is a great way to help establish an information hierarchy for your website. It will navigate crawlers and spiders through your website, as well as, help you provide link equality for all your pages. You might not think that this is an important aspect of SEO let alone on page SEO. However, this has a great role in website ranking in which by having a social button on your website you can generate more traffic to your website. When people read your webpage they may like it so much that they want to share it on their facebook webpage or Twitter profile. This is a great way to generate a buzz for your webpage as well as more links to it. Page loading speed is the time it takes your website to load. This is a very important factor not only in on page SEO but in acquiring and maintaining a reader/client base. We all know from our own experiences that if we are surfing the web and we stumble upon a page that is interesting but takes forever to load that we aren’t going to wait no matter how nice the ad or the description was. For that reason, you need to make sure that your website loads quickly. Which can be easily done by optimizing images (making them web-friendly in size), using reliable hosting, enabling caching, and using a web layout that is simple. Nowadays, people are using their phone more often to surf the web than their computers. When they are on the go or in bed they generally rely more on their smartphones. This is why it has become crucial that your website be more mobile friendly. You don’t want to end up losing readers, just because your website is hard to navigate on a phone or tablet. Don’t fret this isn’t really hard to do. Most content management systems (CMS) either have it built in or have a plugin for it. Sometimes when you are trying to rank for keywords that are very competitive it can be very helpful to add modifiers to your title. This can help you rank your page for different versions of your target keyword giving your page a greater chance of ranking in the top pages of search engines. These are only a couple of factors that can help you rank your website higher in search engines. Although there are probably more than a dozen more focusing on these factors will increase your visibilty immensly. If you would like to see the digital marketing services we offer in more detail please feel free to reach out to me to request a quote.